TRAPPING and REMOVAL PRICES, click here. Home consultation 5-10 min. FREE when you provide us with digital pictures. Contact Us. After hours service After hours and weekend rates are sometimes double, depending on our nearest technician's location and schedule. Holiday service Holiday service rates are sometimes double or triple the regular rate. Emergency service Emergency call rates are double the regular rate. We will do a thorough inspection of your property to determine the exact nature of the problem. Using your digital photos, our experts will guide you through the steps of handling your own bird or animal infestation and we will ship necessary products such as traps and repellents to you. We ship traps and animal control products direct. Cost/Prices: Cost of materials + labor starting at $60 each man per hour, or by bid. *Approximate installed price is $45-60 per linear foot. 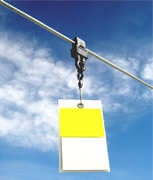 Visual deterrent help to prevent bird collisions. Cost/Prices: Cost of materials + labor starting at $120 each man per hour. We clean, disinfect and deodorize. We encourage you to email to us 5 to 10 digital pictures of your problem including all affected areas, all sides of your building, and anything else you think may be important. We will then be able to provide a customized bid for an animal control solution. This process saves you money, as we will be able to forego the initial on-site inspection/evaluation and get right to work on the problem. Healing all access points is essential for control. Cost/Prices: Cost of materials + labor starting at $60 each man per hour. We install belowground fencing that rodents and snakes cannot get under. Structual modifications - Installed repellents or deterrents that make your home unattractive to wildlife. Even small gaps allow bats and mice into a building. We can seal them up for you. *Available for animals and birds in all states where such practices are legal and lawful. Cost/Prices: Cost of materials + per bird or animal charge. To obtain prices for specific birds and animals, see our Pricing Page. We trap nuisance wildlife from attics, chimneys, crawlspaces, you name it. We can supply all the wildlife control products you need. Our network includes professional trappers and wildlife control operators who will travel both inside and outside the USA to perform animal, bird and snake removal services. Several trappers within our network operate worldwide, traveling internationally to complete pest animal, bird and snake removal and control projects. At times, translators may be required for these projects. We offer global solutions. We fulfill animal, bird and snake removal contracts for commercial enterprises such as Home Depot, Wal-mart, FedEx, UPS, and McDonalds. Pigeon control, rat removal, and other animal services are available at a discounted rate for large commercial properties. Cost/Prices: Discount rate starts $30 each man per hour + travel and expenses. We can find a trapper to work for you on a short or long-term contract. Already have a website for your wild animal control business? We buy websites! We also buy wildlife trapping, control and removal businesses. To discuss ths sale of your website or business, contact us. We are headhunters for companies and municipalities seeking to add animal, bird, and snake removal operators to their staff. We have a list of on-call specialists who are willing to travel or relocate to work on short or long-term contracts. We support forestry companies with our beaver control services. We support forestry companies by trapping and removing mountain beavers, beavers, and other animal pests that destroy new generations of trees. We support gas, oil and utility companies by providing pest animal removal services. Our technicians will travel to remote locations if necessary to complete wild animal removal projects. 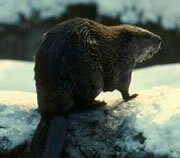 We trap and remove beavers that dam waterways and disrupt flow. We trap gophers that cut through underground power lines or dig holes in rubber water storage liners. We trap and remove rodents such as rats, raccoons and squirrels that climb onto transformers and knock out power supplies. We offer field support to utility companies. We trap and remove pigeons, rodents, and other pest birds and animals from military bases, facilities, and outposts. Pest birds and animals can cause significant damage to machinery, weaponry and vehicles. Rodents may nest under the hoods of vehicles, in airplane cavities, or other machines. Pigeons create a filthy environment and clog drains and vents with their droppings and feathers. Whatever the pest may be, we have a solution for it at a is counted rate for all branches of the armed forces. Military bases can use us to control wild animal problems. Do you need help with your wild animal, bird and snake projects? 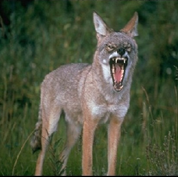 We support pest control companies like Terminix and Orkin in their wild animal control and removal needs. We will partner with reputable pest control companies to provide comprehensive wildlife animal and pest removal and control to their clients. We do not want to take customers away from pest control companies; our aim is to assist you in fulfilling your contracts so that you do not lose customers. When we partner with you, you maintain control of your client. We simply help to fulfill your contract when you encounter a bird, animal or snake problem that you can't handle. Our area of expertise is wild animals, not insects, but frequently the two come hand-in-hand. By working together, we can better satisfy your customers by balancing insect pest control with complete wildlife pest control. Call us for more information about how our wildlife removal services can complement your pest control business. We will also pay a percentage to pest control companies for referral work. When a pest control situation involves wild animals, pest control companies call on us for wild animal trapping and removal. Comprehensive pest wildlife solutions for all your properties: commercial, residential, industrial, public, and private. We also offer percentage discounts for large contracts. When animals invade your property, we can take care of it. Cost/Prices: Please see our Pricing Page for specific animal prices. We can take care of a coyote problem. Current economic conditions being what they are, we understand that local governments are under pressure to cut their budgets. We offer special rates to states, cities, counties and townships that desire wild animal, bird, and snake removal services to complement their existing animal or pest control services. We also provide headhunting services to municipalities that wish to add a bird, snake, or animal removal specialist to their staff. We keep a list of on-call specialists who are willing to travel or relocate to work on short or long-term contracts.